Online cloud storage is becoming more popular and especially with internet marketing businesses which utilizes outsourced personnel from around the world to accomplish tasks for them. These outsourcers utilize a series of tools and techniques to work remotely, and one of the most popular online tools is the cloud storage facility DropBox. Many consider DropBox to be an online storage facility. In some ways this is correct, and it some ways it’s incorrect. It is correct that files can be saved online. However, the primary focus of DropBox is not to store files online, but to sync files between several devices. That is, DropBox does not extent the storage capacity of a computer or device. If a computer has a 500GB hard drive, then that computer cannot extent its storage capacity to 1.5TB by adding the business 1T DropBox option. The storage capacity of a computer must be equal or greater than the storage obtained thru DropBox. The main function of DropBox is to sync files between computers. Whatever is changed on one device will be immediately updated on all other connected devices depending on internet connectivity. 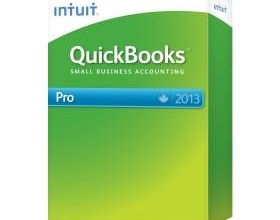 For remote access purposes, some have tried to load QuickBooks Data File on one computer, and with several QuickBooks licenses, have QuickBooks installed on several computers and each access the one centrally located file on the DropBox server. This should great in theory, and will work assuming that only one person uses QuickBooks at a time. This occurs as DropBox is not a database. Its files are not to be accessed simultaneously by several users at the same time. Should QuickBooks need to be remotely accessed by several people at the same time, then an alternative configuration will need to be used. This alternative is to host QuickBooks on a virtual private server (VPS) or a dedicated server, and that server can then be simultaneously accessed for QuickBooks purposes. 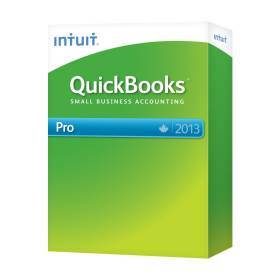 Here the QuickBooks file is the database and multiple logins will be allowed. However, on this VPS or dedicated server, DropBox is to be installed, and it’s to be configured to have the daily backups of the QuickBooks database. This is done so that in the event that the server crashes or becomes unresponsive then the QuickBooks Backup File can be retrieved from the DropBox locations for a re-installation.